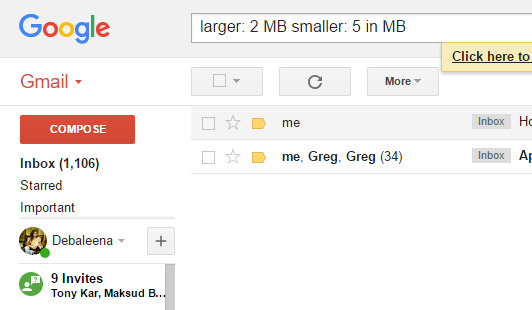 How to Search for Emails in Gmail by Size of the Mail? Home > Social Media > How to Search for Emails in Gmail by Size of the Mail? Gmail is one of the biggest email clients in the world. With billions and billions of active users, Gmail is also one of the most used mail services. Being a Google product it’s robust and rich in features and customizations. The mail service provides a plethora of settings and customization options to its users. 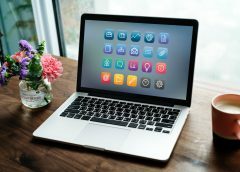 We will discuss on such feature of Gmail in this article. There are a number of methods by which you can search an email from Gmail. You can search by name, by Id, by date and so on. But there is another method which is not known to most of us. You can also search an email by specifying its size. Now you must be wondering who remembers the size of an email? 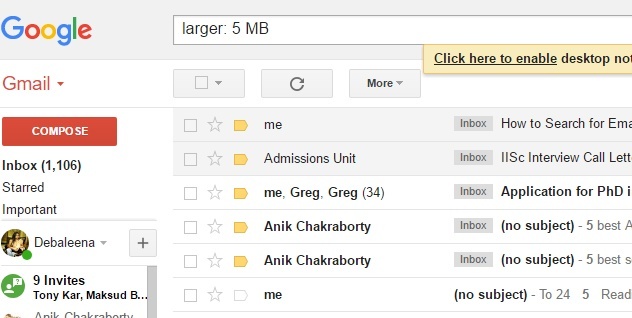 Well, it’s not possible to remember the size of an email but we do have some idea of what the size of an email can be. For example, emails which have picture attachments will have larger size. If you are searching for mails that have photographs as attachments then it will usually be greater than 5MB. If you have attached small video clips then you can search emails greater than 5 MB and less than 25 MB. There are certain codes by which you can search the items based on size. You can note down these codes in a mote application and use them whenever you need. Here one things you must remember is that it’s important to write the MB term. The unit is important. If you don’t write MB at the end of the numerical value, he it will be considered as bytes. That’s all. Hope you liked the tips.